The next major release version of Windows 10 is code named “Redstone 2” for Microsoft’s developers but for the public Microsoft is now promoting it as the “Creators Update”. As the name suggests many of the new features in Windows 10 Creators Update are targeted at creative types that develop new content. “Redstone 3” = build 1710? aka ? 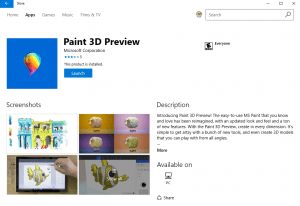 …With the Paint 3D Preview, create in every dimension. It’s simple to get artsy with a bunch of new tools, and even create 3D models that you can play with from all angles. 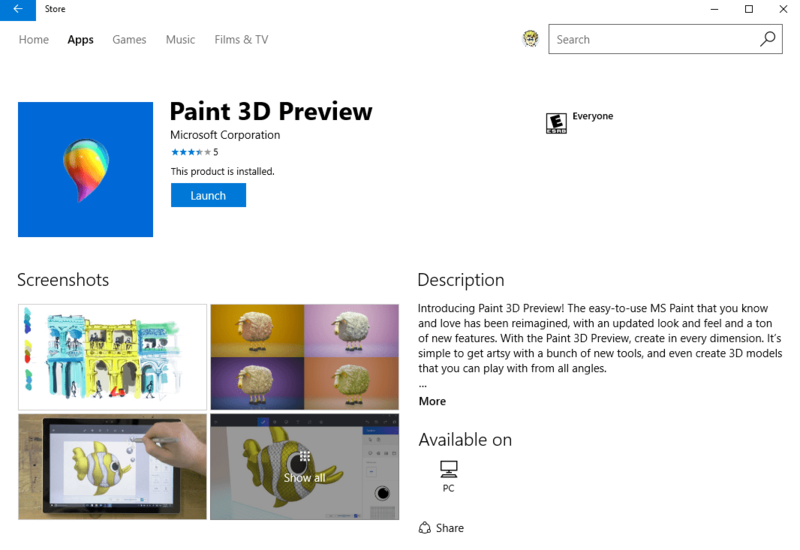 To get Paint 3D you will either have to wait for Windows 10 Creators Update to be released in April-ish 2017 or be a member of the Insiders running build number 14800 or newer. You can join the Windows Insiders Program HERE. Insiders with Windows 10 builds greater than 15000 will have the much loved Aero interface return under the code name “Project NEON” which is also seen as part of the new artsy push. New smooth animations and window transparencies will make former Windows 7 users very happy. NEON is supposed to make all Microsoft Windows 10 devices look and feel more real, including the amazing HoloLens Virtual Reality / Augmented Reality kit. There is now uncertainty if Windows 10 Redstone 2 aka ‘Creators Update’ will a full Project NEON treatment or if we will have to wait for Redstone 3, likely released the fall of 2017. Either way, Microsoft is working hard on advancing the interface so designers and developers have more options at their disposal. Slowly MS has been bringing back GUI elements that they introduced with Aero and then discarded with Metro. I don’t know why they weren’t more measured in their GUI evolution. There seems to have been a lot of change just for change sake and the Aero/Metro oscillation hasn’t helped user acceptance. The Office suite GUI has been another huge point of contention for many user circles. The Opera team has introduced a new concept known as Opera Neon which gives you a preview into the future of desktop browsers.